Background: Patient safety culture in healthcare organizations has become an important issue globally for improving medical services. In 2016, Taiwan’s National Health Insurance (NHI) system covered 99.6% of Taiwan’s population. With the enhancement of medical quality, patients expect medical service providers to care more about safety and medical service. Understanding physicians and registered nurses’ attitudes toward patient safety is a critical issue for healthcare organizations wanting to improve the quality of the medical care they provide. Objective: The purpose of this study was to discern physicians and registered nurses’ attitudes toward patient safety using Sexton and colleagues’ Safety Attitudes Questionnaire (SAQ) in order to develop strategies for improving the quality of medical services. Methods: Pearson correlation analyses were conducted to demonstrate the relationships among six patient safety culture dimensions. Physicians and registered nurses were asked to complete the questionnaire in a case hospital in Taiwan in 2016. Results: The results of Pearson correlation analyses demonstrated a strong and positive relationship between perceptions of management and working conditions. Additionally, teamwork climate was highly correlated to safety climate. The results also illustrated that teamwork climate and job satisfaction were significantly related. Conclusion: The assessment of patient safety culture can provide a basis for hospital managers to monitor the quality of the medical care provided at their organizations. Hospital managers should put more efforts into the essentially important elements of patient safety culture, such as teamwork climate, safety climate, perceptions of management, and working conditions, so as to continuously improve the quality of medical care. National Health Insurance Administration (NHIA). National Health Insurance 2015-2016 annual report. Taipei: NHIA; 2016. Singer S, Lin S, Falwell A, Gaba D, Baker L. Relationship of safety climate and safety performance in hospitals. Health Serv Res. 2009;44(2 Pt 1):399-421. doi:10.1111/j.1475- 6773.2008.00918.x. Lee YC, Wu HH, Hsieh WL, Weng SJ, Hsieh LP, Huang CH. Applying importance-performance analysis to patient safety culture. Int J Health Care Qual Assur. 2015;28(8):826-840. doi: 10.1108/IJHCQA-03-2015-0039. Agnew C, Flin R, Mearns K. Patient safety climate and worker safety behaviours in acute hospitals in Scotland. J Safety Res. 2013;45:95-101. doi: 10.1016/j.jsr.2013.01.008. Sexton JB, Helmreich RL, Neilands TB, et al. The Safety Attitudes Questionnaire: psychometric properties, benchmarking data, and emerging research. BMC Health Serv Res. 2006;6:44. doi: 10.1186/1472-6963-6-44. Lee YC, Weng SJ, Huang CH, Hsieh WL, Hsieh LP, Wu HH. 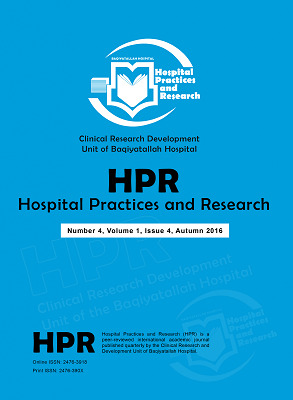 A longitudinal study of identifying critical factors of patient safety culture in Taiwan. J Test Eval. 2017;45(3):1029-1044. doi: 10.1520/JTE20140444. Nguyen G, Gambashidze N, Ilyas SA, Pascu D. Validation of the safety attitudes questionnaire (short form 2006) in Italian in hospitals in the northeast of Italy. BMC Health Serv Res. 2015;15:284. doi: 0.1186/s12913-015-0951-8. Lee YC, Huang SC, Huang CH, Wu HH. A new approach to identify high Burnout medical staffs by kernel K-means cluster analysis in a regional teaching hospital in Taiwan. Inquiry. 2016;53. doi: 10.1177/0046958016679306. Cohen J, Cohen P, West SG, Aiken LS. Applied Multiple Regression/Correlation Analysis for the Behavioral Sciences. London: Lawrence Erlbaum Associates; 2013. Hayes B, Douglas C, Bonner A. Work environment, job satisfaction, stress and burnout among haemodialysis nurses. J Nurs Manag. 2015;23(5):588-598. doi: 10.1111/jonm.12184. Buljac-Samardzic M, van Wijngaarden JD, Dekker-van Doorn CM. Safety culture in long-term care: a cross-sectional analysis of the Safety Attitudes Questionnaire in nursing and residential homes in the Netherlands. BMJ Qual Saf. 2016;25(6):424-431. doi: 10.1136/bmjqs-2014-003397. Haynes AB, Weiser TG, Berry WR, et al. Changes in safety attitude and relationship to decreased postoperative morbidity and mortality following implementation of a checklist-based surgical safety intervention. BMJ Qual Saf. 2011;20(1):102- 107. doi: 10.1136/bmjqs.2009.040022. Kristensen S, Hammer A, Bartels P, et al. Quality management and perceptions of teamwork and safety climate in European hospitals. Int J Qual Health Care. 2015;27(6):499-506. doi: 10.1093/intqhc/mzv079. Kalisch B, Tschannen D, Lee H. Does missed nursing care predict job satisfaction? J Healthc Manag. 2011;56(2):117-131. Goethals S, Dierckx de Casterle B, Gastmans C. Nurses’ decision-making process in cases of physical restraint in acute elderly care: a qualitative study. Int J Nurs Stud. 2013;50(5):603- 612. doi: 10.1016/j.ijnurstu.2012.10.006.